Erastus Bingham, born in Concord, Essex, Vermont, 12 March 1798, son of Elisha Warner and Sarah (Perry) Bingham; died in Ogden, Weber, Utah, 2 May 1882; buried in Ogden. (1) He married in St. Johnsbury, Caledonia, Vermont, 20 March 1818, Lucinda Gates, born in Ackworth, Cheshire, New Hampshire, 19 September 1797; died in Ogden, 3 January 1874, daughter of Thomas and Patty (Plumly) Gates. (5) Emma Nye (1837- ) in Salt Lake, 13 December 1862. When he married Lucinda Gates, Erastus had a farm in Concord, where he and his bride resided and where the first four of his children were born. About 1825, the family removed to Littleton, Grafton County, New Hampshire. Lucinda and Louisa Maria were born there in 1826 and 1828, after which the family returned to the farm in Concord. Erastus had no formal affiliation with any religion until spring 1833, when Elder John F. Boynton brought him word of the "restored gospel." He read The Book of Mormon, was converted, and was baptized 11 November 1833, in St. Johnsbury, Vermont, together with his wife and three of his children. A fourth child, Sanford, was baptized there on 18 November. Erastus was the only one of his father's family to join the Church, but his wife's father and her brother, Jacob, also joined. In spring 1836 Erastus sold his farm, and in the following June he traveled with his family (accompanied by Willard Snow and others) to Kirtland, Ohio. The family stayed there until September, 1836, then continued the journey to Far West, Missouri, arriving on 4 November 1836. Erastus rented a farm on Shoal Creek, about two and a half miles from Far West, and built a log house, into which he moved his family. The following spring he fenced his farm, which he cultivated until Fall 1838, when Governor Lilburn W. Boggs issued the exterminating order that forced him and the rest of the Saints to leave Missouri. At Far West, in January 1839, Church leaders named Erastus a member of the committee to orchestrate the exodus. Other members of this committee were John Taylor, Alanson Ripley, Brigham Young, Theodore Turley, Heber C. Kimball, John Smith, Don Carlos Smith, Elias Smith, Stephen Markham, and James Newberry. "On motion of President Brigham Young," says the record, "it was resolved that we this day enter into a covenant to stand by and assist each other to the utmost of our abilities in removing from this State, and that we will never desert the poor, who are worthy, till they shall be out of the reach of the exterminating order of General Clark, acting for and in the name of the State." Leaving Far West toward the end of March, Erastus and his family arrived in Hancock County, Illinois, in April, 1839. He rented farms in the neighborhood of LaHarpe until Spring 1845, when he bought a 160-acre farm a few miles from Nauvoo. The following year, when the resumption of mob violence compelled the Saints to leave Illinois, as they had Missouri, Erastus exchanged his farm for a team of horses with which he could take his family into the wilderness. He left Nauvoo on 6 May 1846. He and his family suffered greatly from exposure and lack of proper food during the trip to Winter Quarters in Iowa (now Council Bluffs), but when they finally arrived they found that food and provisions were very scarce in that place as well, and as there were so many others there who were less fortunate than they, the leaders of the church decided the people here should move on to a place where the necessities of life could be found. “Erastus Bingham was made Captain of one hundred. They traveled Westward until they reached Council Bluffs, Iowa. Prior to their arrival at Council Bluffs, the United States Government asked for 500 volunteers to fight in the war with Mexico. Two sons and a son-in-law of Erastus Bingham volunteered, Erastus, Jr., Thomas, and Elija Norman Freeman, husband of his (Erastus’) daughter, Mary; and they were recruited in the Mormon Battalion in Council Bluffs, Iowa. Erastus Bingham had the care of the families of the volunteers. After resting a few days until two companies were organized, one called Brigham company and the other Heber’s company, they started traveling westerly according to the directions of the Twelve Apostles…They travel up the Platt River until they overtook Bishop George Miller and his company. When they arrived at Loop Fork, Nebraska, a messenger on horseback brought word from the president of the Twelve, Brigham Young, that they should not venture farther for fear of deep snow or hostile Indians, but should locate a good camping ground for the winter. The Captain, Bishop Miller, was not in favor of obeying this order. He was anxious to move on, as the prospect of several months delay in the journey was not a pleasing one. They remained three days, considering and discussing the problem. At this juncture, a number of Indian Chiefs of the Ponca Tribe passed by on their way home from an Indian Council. They were very friendly and invited the travelers to go with them to their camping ground to a place called Swift Water near the Missouri River about 150 miles above or North of Winter Quarters….The Indians said the camping ground was good, with plenty of water and food for the animals which the white men were welcome to share. Erastus Bingham stood up on his wagon wheel and talked to the Saints, telling him that he proposed to obey the council of president Brigham Young, that he and his family would remain until Spring and invited all to join with him in accepting the invitation of the Indians to share their camping ground. About one half of the company remained with Erastus Bingham; the others decided to attempt the journey Westward with their commander, Bishop Miller. They pushed on Westward but met with a great many losses. The Indians stole some of their animals; and they suffered from the cold and lack of food and were compelled to return, some of them camping near Erastus Bingham’s camp. The Ponca Indians were very kind to the families who were sharing with them their camping ground, even bringing meat for some of the most destitute families. They wintered with the Ponca Indians, living in their wagons and a wickiup the friendly Indians provided for them. In the spring of 1847 Erastus Bingham and his family returned to Council Bluffs where he was chosen a member of a committee to go into Missouri and secure wagons and supplies for the journey West across the plains. He bought provisions to last his family 18 months. On the 11th of June, 1847, they left Council Bluffs; and after getting across the Elkhorn River, they started on their way Westward. They traveled up the North side of the Platt River in a company of 666 wagons consisting of Daniel Spencer’s group of 100, Ira Eldredge’s 50, Jedediah M. Grant’s 50 and Erastus Bingham’s 10, together with other groups. The company was so large that it was organized with captains of tens, fifties and hundreds to guarantee the best of order. Yet it would be so unpleasant because it would be so late before the last wagon could start from camp in the morning and so late at night before it could get into camp. Two wagons traveled abreast, making two roads. This company arrived in Salt Lake Valley on 19 September 1847, and Erastus made a home for his wife and children in Salt Lake City. In Spring 1848, he was allotted a farm in the Holiday district and acquired a grazing permit for an area about twenty miles southwest of Salt Lake, now known as Bingham Canyon. There he erected a herd house. In 1850, Brigham Young called upon Erastus to help build new settlements in the North (Weber County). Thus, in early April, Erastus went with his son Sanford and son-in-law Isaac Newton Goodale to the Weber River, where he staked out a farm and built a house. This farm was located on property now occupied by city and county offices. In September, when Brigham Young chose this location as site for a city to be named "Ogden," Erastus sold his claim and moved to the vicinity of Farr's Fort, north of the Ogden River. There, he laid out another farm and built another house for his family. When the Weber Stake was organized, Sunday, 25 January 1851, Ogden was divided into two wards, with Erastus Bingham serving as Bishop of Ogden North Ward (Farr's Fort). The following spring, Erastus relocated with his family to a parcel of land northwest of Farr's Fort. There, sometime between 1851 and 1853, Bishop Bingham began construction of a fort (Bingham's Fort) to protect his family and other settlers from the depredations of hostile Indians. This fort was located in what is now known as the Lynn district, north of Second Street and west of Wall Avenue in Ogden. Meanwhile, on 28 January 1850, the General Assembly of the territory created Weber County encompassing "all that portion of country known as Weber Valley, extending as far south as Stony Creek, and west to the Great Salt Lake." However, the organization of a civil government there awaited the appointment of Isaac Clark as Probate Judge on 7 February 1852. On 1 April that year, Clark named Erastus Bingham one of three selectmen for the County. In its first session, on 24 April, the County Court named "supervisors" for the various settlements, designating Erastus Bingham supervisor for "Ogden Settlement North of Ogden River." 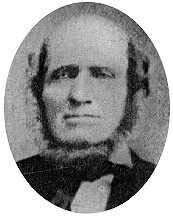 In the first municipal election, October 1852, Lorin Farr emerged as mayor of Ogden; Erastus Bingham, as one of the four aldermen. In June 1856, when the County was divided into four Wards, Erastus Bingham was named Bishop of the First Ward. He served in that capacity until released, in 1868, on account of age and ill-health. Erastus also served a term as representative of Weber County in the first Territorial legislature, which convened in December 1854. Bingham's Fort, with walls built of rock and mud to a height of about twelve feet, enclosed an area 120 by 60 rods. By the end of 1854, Bingham's Fort had a population of 732. But the following year, when Brigham Young visited the stronghold, he advised the residents to abandon it to build a "real city" south of the Fort, on the site he had previously chosen for the City of Ogden. Though he continued to operate his farm in the Lynn district (Bingham's Fort), Erastus acquired property in Ogden (at what is now 23rd and Madison), where he build another home for his family. In 1858, with the approach of Johnston's Army, Erastus moved his family to Payson, Utah, but left his son Thomas and son-in-law Isaac Goodale behind with orders to "burn everything" if it looked as if Johnston's Army would try to bivouac in the city. When the threat passed, Erastus and his family returned to Ogden. Erastus Bingham lived a noble and exemplary life and passed away May 2, 1882 at the age of 84 years, one month, 21 days. Erastus’ first wife, Lucinda Gates Bingham, exercised the highest degree of charity, and by deeds of kindness proved that she loved her neighbor as herself. Anyone coming to her in confidence or in need went away comforted. In the dark days of Missouri and Illinois persecutions many needed and sought her council, help, and encouragement. She and her daughters, while crossing the plains to Utah gladdened the hearts of the other weary travelers with songs as they gathered around the campfires, so necessary for the morale and to prepare them for a good night’s rest. The Indians knew of the kindness of Mrs. Bingham and she and her family were safe from the violence of the occasional raids. New emigrants who arrived in Ogden in poor health or poor circumstances were sure of assistance if they came to her. She never turned anyone away who was hungry or weary. Lucinda passed away in January 1874 in Ogden, Utah in the home they built when they moved from Bingham’s Fort.